At our medical practice, our team of five world-renowned dermatologists strives to provide effective and powerful treatments to our patients, which is why we’re pleased to be an accredited institution by the Institute for Medical Quality in California, an organization dedicated to improving medical care. Cosmetic Laser Dermatology is IMQ accredited because we want to make sure that all of our patients receive the best possible care in the safest and most advanced surgery center and office. The Institute for Medical Quality, or IMQ, was formed in 1996 with hopes of bettering California’s surgery centers and operating rooms through effectively measuring standards and quality of care. Programs put forth by the IMQ work to educate, counsel, and interact directly with medical facilities to determine whether or not the practice is meeting the highest level of safety and superiority requirements necessary to provide commendable medical care. Through encouraging, developing, and implementing programs that successfully validate and improve medical care by doctors, the Institute for Medical Quality will one day be nationally recognized for evaluating and improving the quality of healthcare. Obtaining proper accreditation from the Institute for Medical Quality is prestigious though extremely lengthy and complicated process, however, our doctors believe that holding this accreditation allows us to bring the absolute highest level of quality care to our patients. If you are a patient and seeking dermatological treatment, it’s not only important to know information about your doctor including their background and training, but also whether or not they’ve taken the appropriate steps in providing both exemplary and safe medical care. Our landmark dermatology center is home to an IMQ accredited OR, the Cosmetic & Vein Surgical Center of La Jolla. To continue to hold this prestigious accreditation, our world-renowned dermatologists make sure that our OR is always up to the standards of the IMQ and is reviewed by OR director Dr. Goldman on a quarterly basis. In order for any physician to perform a procedure, he or she needs to meet certain requirements and licensing verifications to obtain the privilege. Because our dermatologists perform certain treatments that do require surgery, it’s essential that we continue to meet and surpass regulations set forth by the Institute for Medical Quality. 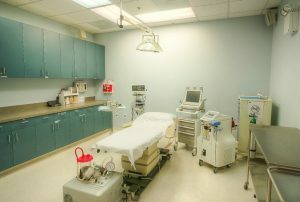 Our doctors perform surgeries that involve controlled narcotics, a nurse, and in certain cases an anesthesiologist, which normally cannot be performed in a clinical setting, however being recognized as an impeccable medical center allows us to do so. If you’d like to learn more about the Institute for Medical Quality and how we provide our patients with exemplary care and service, or if you’d like to schedule a treatment with one of our five world-renowned doctors, we encourage you to contact our office today by calling (858) 943-2113. 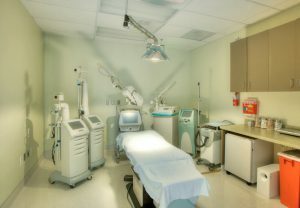 At Cosmetic Laser Dermatology in San Diego, we’ll be able to answer any questions and address your concerns during your initial consultation, as well as develop a treatment plan unique to your needs. Next, learn about our Charitable Works.